The nature of this emerging relationship encourages us to recognize veterans’ commitment and actions, or at least pay lip service to the fact that members of the military are doing something others, quite simply, will not. To that end, Americans began (and have increased exponentially) what I’ve come to call in my early research thanks discourse. This is the very obvious action nonmilitary have developed to singling out women and men in uniform and telling them “thank you for your service”. Often this comment is done in a one-on-one encounter, either when someone engages with obvious military, or a conversation denotes that the interlocutor is or was in the military. Sometimes this sentiment can be global, where a speaker at a conference or flight attendant on a plane sends a general “shout out” to any members of the military who might be present. Overall, thanks discourse recognizes the efforts of the military member, and provides emotional support. But emotional support to whom? The key aspect I’m viewing in my research is the person benefited isn’t who you might think. I believe that the large part of the emotional support and benefit goes to the person who’s saying, “Thanks for your service”. Think about it – that person gets to be congratulatory. That person is in a position where they can attract attention to someone else. Similar to the person who begins “For He’s A Jolly Good Fellow”, the person who makes the statement gets to revel in the fact they started something benevolent and thoughtful; a recognition of the sacrifice and duty of a person who is standing right in front of them. Saying “thank you” suddenly translates into a moral good deed. And what of the soldier? Does the member of the military gain any benefit? My argument is a pretty solid “maybe”. It is possible that the veteran, confronted with the thank you, will feel recognized and appreciated. It is possible that her chest fills with pride in hearing this statement, and that she is encouraged about the work she has done and might still be doing. The military vet might walk into new situations emboldened by confidence that occurs because of the thanks and support that has been witnessed, and be more engaged in day-to-day activities. This feeling might extend into increased re-enlistments, contract extensions, and recruiting efforts to bolster a stronger military structure. This could happen. More and more, from what I’ve experienced, it doesn’t. The first problem I detail, in looking at initial data, is that the statement creates a sense of awkwardness for members of the military. The phrase “thanks for your service” doesn’t align very well to a response of “you’re welcome”. In fact, there are few programmed responses that work. Men and women who are offered thanks in this way commonly find themselves groping to develop a response. Why? Because maybe their experience with the military hasn’t been that great. We have seen enough new data on PTSD and other injuries to recognize that “service” wasn’t such a great time for many. Added to this is the possibility that maybe these individuals don’t want to be reminded of past service. Given that many might have conflicted feelings about their part in the wars, it is quite possible the absolute last thing these women and men want is to be reminded of those experiences. 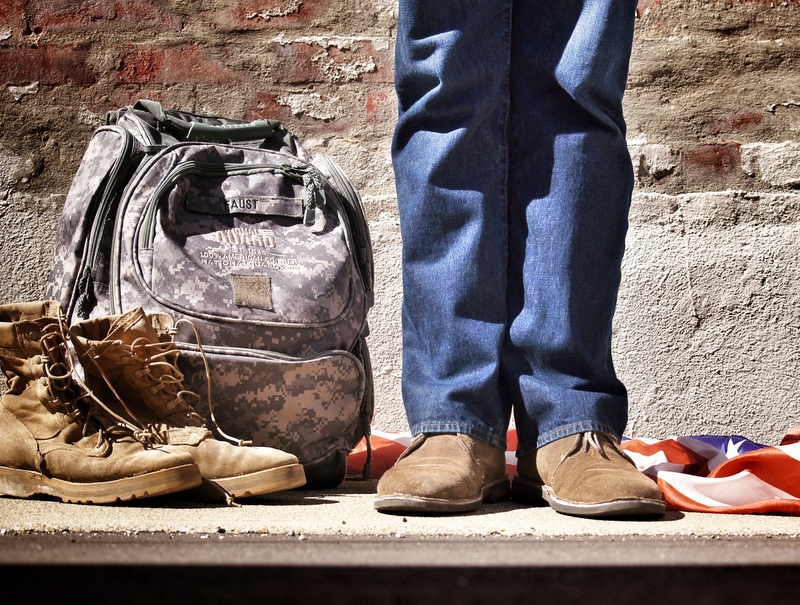 Even in the lightest sense, “thanks for your service” could be a reminder of blistering heat, freezing cold, and intense boredom that might have been associated with “hurry up and wait” that those of us who have served no only too well. The other reality I’ve seen in my initial research is that for many in the military, their “service” is just a job to them. A good number of women and men don’t see what they’ve done as significant, either based on their normal military workdays, or their time when they were deployed. As part of my research (3), a review of Reddit posts where members of the military talked about their reactions to being thanked, one participant talked about how self-conscious it made him feel, given that he wasn’t infantry or in a combat occupation, and how he wasn’t sure that he deserved any thanks. This led some others to turn their responses to thanks into comical quips, such as “thanks for paying your taxes” or the ever classic “don’t thank me, thank my recruiter”. Overall, these come as defense mechanisms for individuals who really aren’t certain how to deal with the statement of gratitude offered. Moreover, what I found in my research is that military are forced into almost gendered linguistic patterns, where they are forced to be polite. Robin Lakoff, a sociolinguist who examines gendered language heavily, stresses that in politeness principle women have been socially programmed to do three common things in conversational responses: “Don’t impose, give the receiver options, and make the receiver feel good” (2). What I find is that the same is true in thanks discourse. It’s improper for a vet to be offended by the thanks, or criticize the thanks, or even question the sincerity of the statement. The entire point of the soldier’s response is to take the thanks and move on. It doesn’t begin a deeper discussion on the military. Thanks discourse doesn’t invite healthy debate. It shines a light of gratitude giving on the person offering the thanks, and then places that same spotlight uncomfortably on the veteran. Does this mean that what I call thanks discourse should be stopped? Of course not. While numbers of Americans who are either active or former members of the military have grown, they still represent a fraction of the population. Like those who join the police force, the fire department, and construction, the field of military service represents a high-risk occupation; that alone should be lauded. What my research will contribute, I hope, is the intentionality of our language, and those things we think are simple acts of kindness actually reinforce a hegemonic power relationship. It should be noted that military masculinity, as a pattern of resocialization utilized by the military in what Erving Goffman would call a total institution, is a universal concept. What I mean is that all persons who go through the military, regardless of gender, are taught to perform “military masculinity”. This becomes the preferred set of practices for men and women to navigate the armed services, and to some degree, social circumstances outside of the military. Robin Lakoff, Language and Woman’s Place: Text and Commentaries, (Oxford: Oxford University Press, 2004). This discussion of “thanks discourse” refers to research that I have recently completed that will be in a forthcoming journal publication. Steven Dashiell is a PhD student at the University of Maryland Baltimore County (UMBC) in the Language, Literacy, and Culture department. His dissertation research investigates masculinity and cultural identity of male students who were in the military. His research interests involve the sociology of masculinity, popular culture, narrative analysis, and the sociology of language. He has presented his work at several conferences, including the Popular Culture Association, the American Men’s Studies Association conference, Eastern Sociological Society meeting, and the American Sociological Association. In addition to his doctoral studies, Steven works for Johns Hopkins University as a Research Outcomes Coordinator. Beyond the military, Steven has done research on Bronies and gamers. He can be reached at steven.dashiell@umbc.edu.